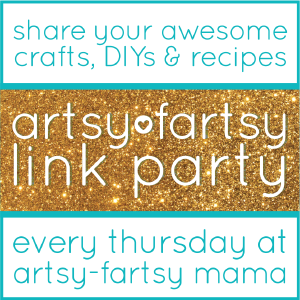 Welcome to Artsy-Fartsy Link Party and happy Thursday!! I'm glad you're here!! Everything shared at the party each week is so inspiring and I'm looking forward to seeing what everyone has to share this week. Thanks to everyone who linked up last party!! Sharing a yummy recipe this week with my Rocky Road Cookie Bars. Enjoy!